After college, Mr. Williams worked for the State of Missouri as a planning specialist for services to the disabled and then directed a private nonprofit agency serving MR/DD adults. He joined the pastoral team of Christian Fellowship Church in 1986, coordinating small group ministries, working with college students, and teaching Bible classes. In 1993, he was asked to take additional pastoral and leadership responsibilities with CFS and became Principal of the school in 1995. Mr. Williams married his lovely wife, Jane, in 1977 and they now have two wonderful adult children who graduated from CFS. 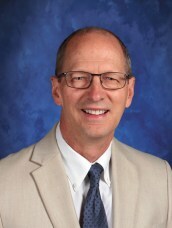 Rick was employed by the University of Missouri for fifteen years conducting scientific research before becoming the administrator of Christian Fellowship School in 1996. He completed an M.A. in Christian School Administration and received the Exceptional Master Graduate-Christian School Emphasis Award from ORU in 2003. He led CFS through its initial ICAA accreditation in 2004 and re-evaluation site visits in 2009 and 2014. Rick has served as a team member and lead evaluator on numerous ICAA site visits. He was elected to the ICAA Board of Commissioners in 2012 and continues to serve in that role. Rick's wife, Darlene, has been an elementary teacher at CFS since 1989 and their three children are graduates of CFS. They currently have three grandchildren attending the school. Brad and his wife, Dana, moved from Sedalia, Missouri to Columbia in 1999 where he worked as an instructor for a public school before coming to CFS in 2004. He has taught English and Speech & Drama since and has directed nine plays and coached junior high basketball two years. He and Dana have three children - Jacob, Claire, and Will - who attend CFS. 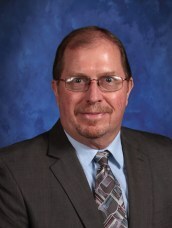 Brad serves as Assistant Principal of the high school while teaching English 11 and College Composition through Central Methodist University's dual credit program. Kim moved to Columbia in 1988 to attend Mizzou where she studied Human Environmental Sciences with an emphasis in Architecture, Interior Design and Art. Kim and her husband, Keith, became members of Christian Fellowship Church in 1997. They made a commitment to send their sons, Dayton and Connor, to school at CFS, and although they lived in Boonville, MO, they commuted their children to CFS for seven years before moving to Columbia. 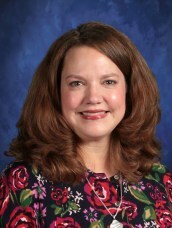 Kim first joined the CFS staff in 2010, as the preschool aide and office assistant. She transferred to the school office as the receptionist in 2011. Kim stepped into the position of assistant to the principal and office manager in June 2014 where she continues to serve and love the CFS students, families and staff.